Located south-east of Grenoble and unequally spilt between the French départements of Isère and the Hautes Alpes, the Parc National des Ecrins is the largest in France. The massif des Ecrins itself is a vast chain of glaciers and jagged peaks, which although not the highest in the Alps are certainly contenders for the most spectacular. Deep valleys formed by soaring rock walls cut into the range and provide a playground for ice and rock climbers alike. However, the Ecrins is also home to much gentler terrain: in the summer there are vast meadows strewn with flowers, and hikes that take the lower passes through the range. This terrain, snow-covered in winter, provides some wonderful opportunities for snowshoeing. 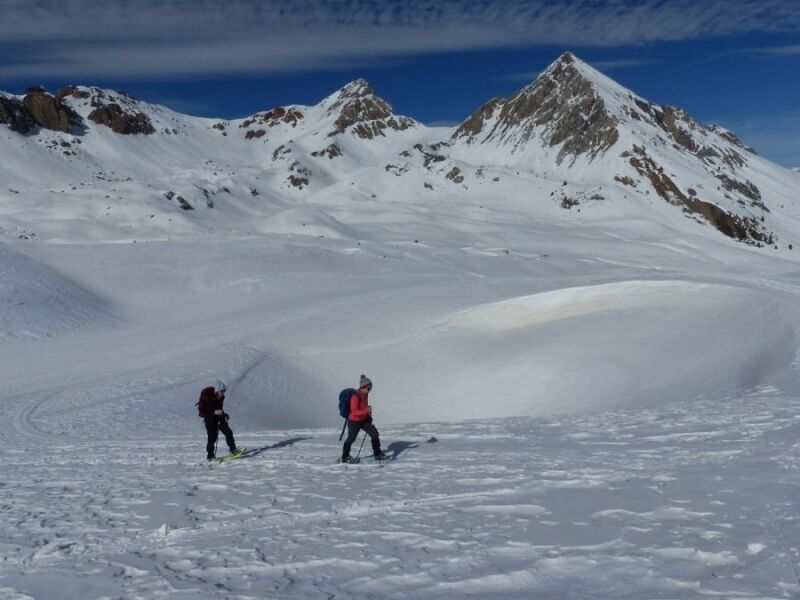 The Ecrins is a snowshoe-friendly area and the slopes and summits provide a wonderful playground for snowshoers both at a relatively gentle level through to the most challenging. 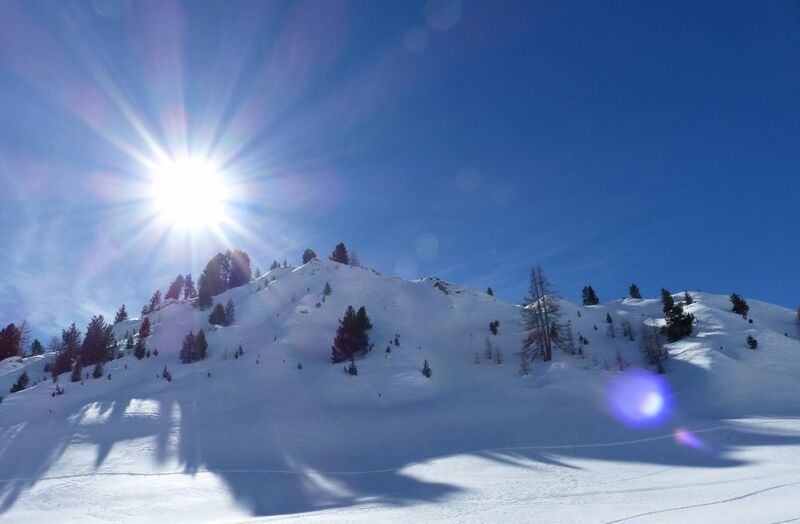 Although there are some excellent ski resorts in the region, there are also plenty of secret undeveloped valleys and cwms, where the only sign if habitation are small unspoilt alpine villages and farms. Our snowshoeing week will be based from the traditional and unspoilt village of Pelvous where we’ll stay in a friendly hotel. Our walks will mainly take place in and around the valleys that brannch off either side of the main Durance Valley. As ever our walks will be very varied, taking us to the best and safest snow conditions. We'll have one mountain overnight at the Refuge Napolean which wil give us the opportunity to do a hike from there next day. Last night is in Briançon which allows for an early departure for those who need it at the end of the trip. Fly: Turin is the nearest airport. From there a regular shuttle services runs to Briançon. I will pick up there end of the afternoon. Accommodation: Hotel 6 nights half board, costed on double occupancy. One night in a hut. 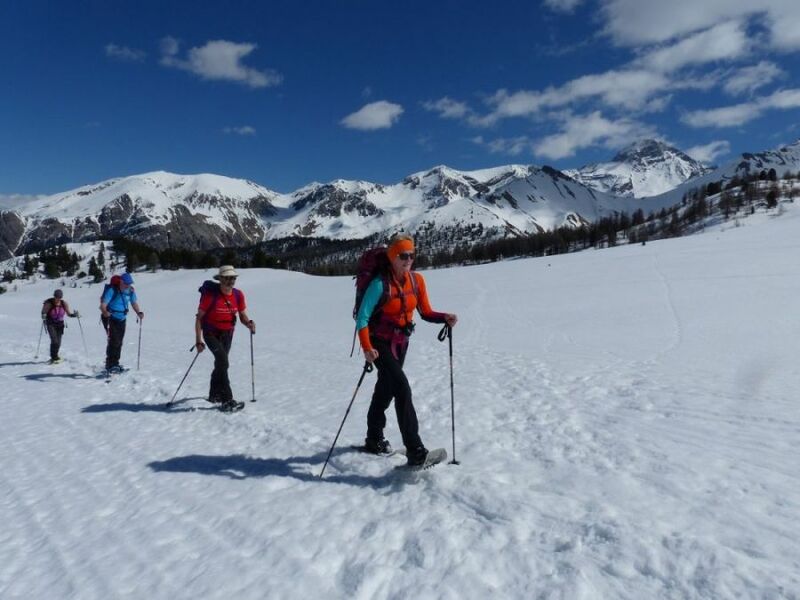 What is included in the price: 6 days guided snowshoeing, 7 nights accommodation (bed, breakfast, picnics and dinner), planned transport during the week, rental of snowshoes, poles and avalanche gear. What is not included in the price: travel to and from Briançon, drinks and picnics, rescue insurance. 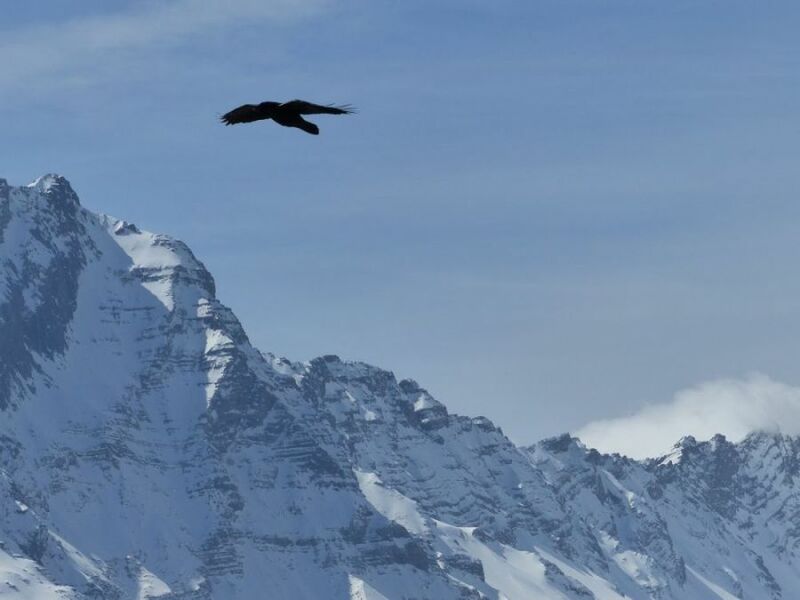 Rescue insurance: You should have insurance for walking in the snow on non-glaciated terrain.